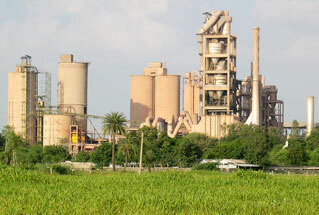 Largest cement producing state in india: Rajasthan is second largest cement producer state in India after Andhra Pradesh. As of March, 2012, Rajasthan had 19 projects with aggregate Cement capacity of 38.8 million tonnes per annum (MTPA). The cement industry in Rajasthan is witnessing significant growth in recent years. The key strength of Rajasthan cement industry is the presence of large limestone reserves, estimated to be over 2.5 billion tones. MS grade limestone of Jaisalmer district is supplied to various steel plants of the country. Currently, 15 major cement plants and 2 medium cement plants are in operation with a total installed capacity of about 20.3 million tonnes per annum. Given the availability of huge cement grade limestone reserves, more than 10 cement plants will be installed in the State in near future, particularly in Chittorgarh, Jaipur, Jhunjhunu, Nagaur and Pali. Largest cement producing state in india: India is the world's second largest producer (224.4 million tonnes per annum ) of cement , after China , in the world. Tamil Nadu is the third largest cement producing state , after Andhra Pradesh and Rajasthan.